Jul 23 By Jen Leave a Comment This post may contain affiliate links. 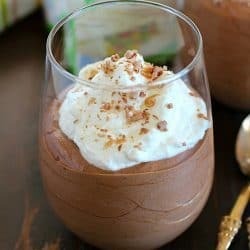 ONE YEAR CELEBRATION of sharing yummy meal plans!! 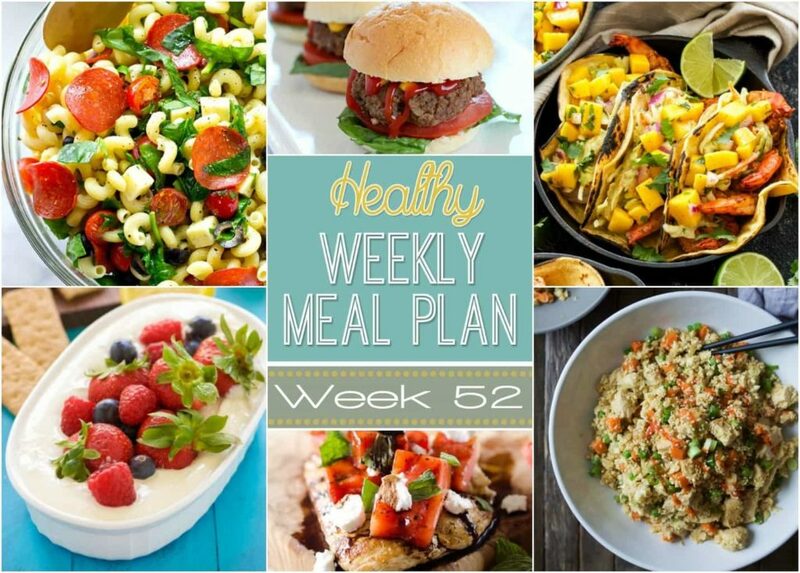 Healthy Weekly Meal Plan #52 has so many great dinners plus a breakfast, lunch, side dish, snack & dessert recipe too! It’s our one year celebration!!! 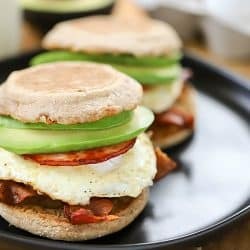 We’ve been creating these healthy weekly meal plans every week for ONE whole YEAR! 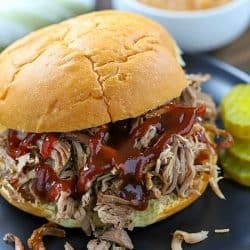 I always love to see how these meal plans turn out every week. 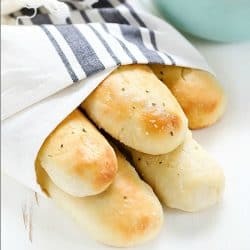 I feel so happy to be with a group of bloggers that really have outstanding pictures and recipes. 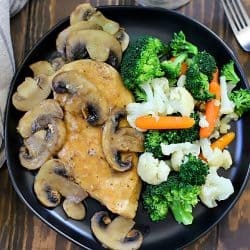 I love these healthy weekly meal plans! I hope you’re having a great weekend! I can’t believe it’s Saturday again. We had a less crazy week and a pretty chill weekend so far. My oldest has his last basketball game tonight and we have a fundraiser to go to as well. What are your weekend plans? 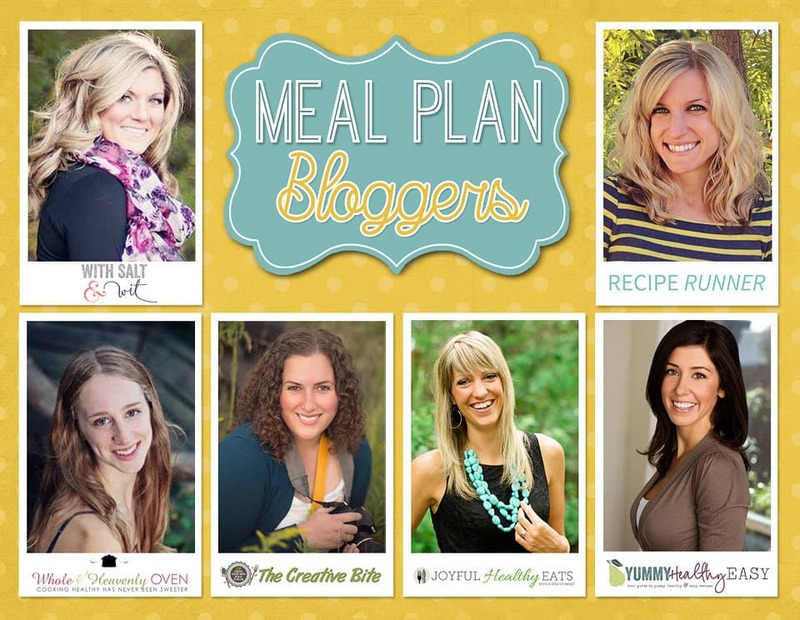 I can’t wait for you to check out our one year celebration meal plan! 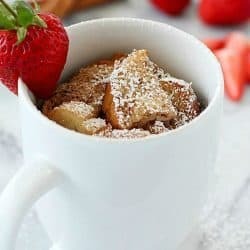 I hope you love all the yummy dinner recipes as well as the healthy breakfast, lunch, side dish, snack and dessert recipes on here too! 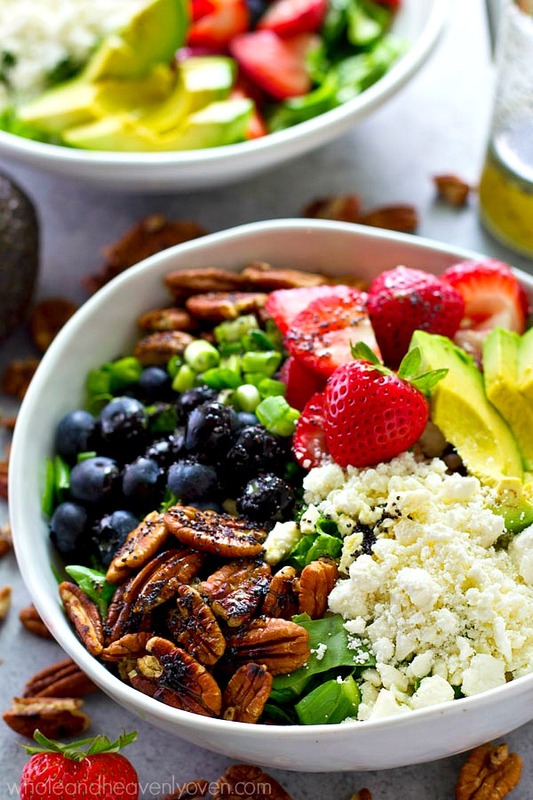 Perfect for a post-weekend detox, this colorful berry-loaded power salad will jump start your healthy goals for the week and you will love every power-packed bite! 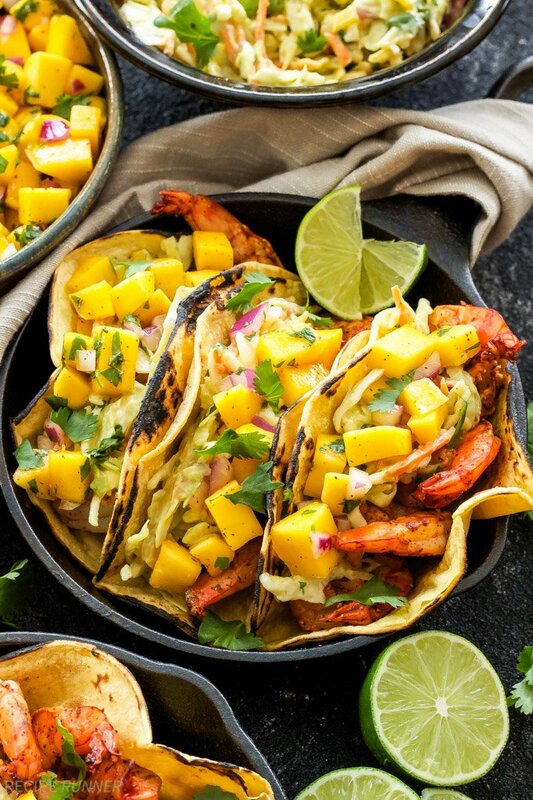 These Grilled Shrimp Tacos with Avocado Slaw and Mango Salsa are perfect for an easy weeknight dinner or make a big batch of them and throw a taco party on the weekend! 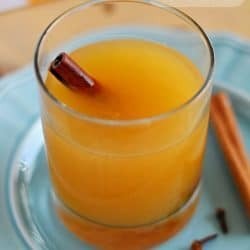 The fresh tropical flavors are sure to make everyone happy! 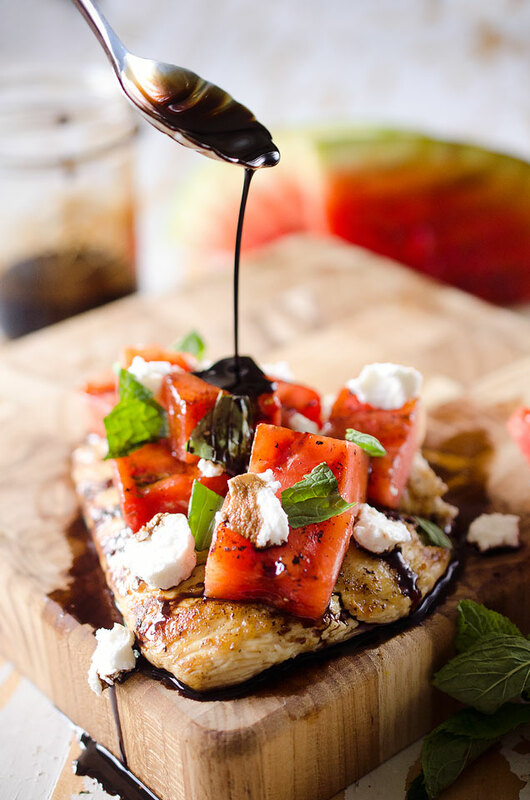 Grilled Watermelon & Balsamic Chicken starts with a tender chicken breast topped with grilled watermelon, soft goat cheese and fresh mint and is finished with a drizzle of balsamic reduction for a fresh summer meal that is healthy and delicious! 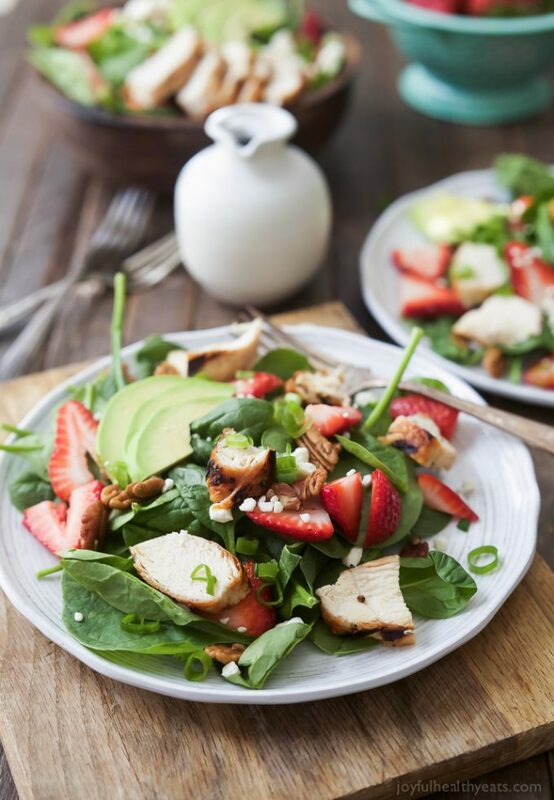 Strawberry Avocado Chicken Salad filled with fresh Berries, Feta, creamy Avocado, and Grilled Chicken. This light salad is topped with a healthy balsamic vinaigrette. 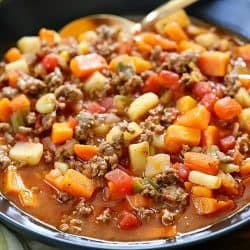 The perfect healthy salad option for the summer! 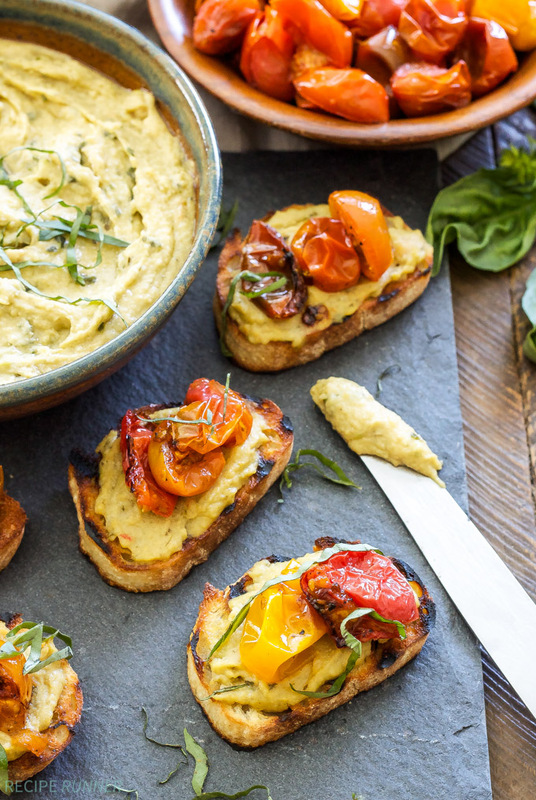 Easy Basil Pesto Hummus and Roasted Tomato Crostini! 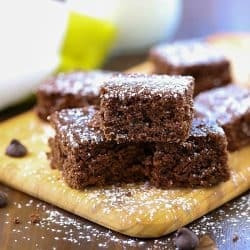 You only need 4 ingredients to make this addicting little bite! 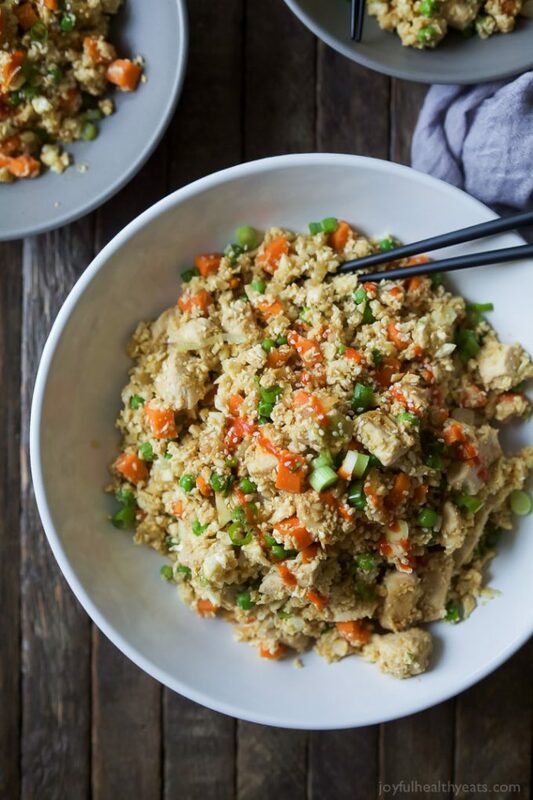 Easy 15 Minute Cauliflower Chicken Fried Rice that’s way better than takeout and tons healthier for you, clocking in at a whopping 205 calories a serving! 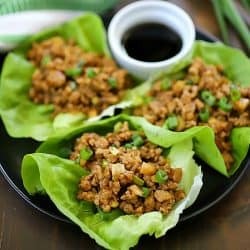 You’re kids will never know its cauliflower not rice! 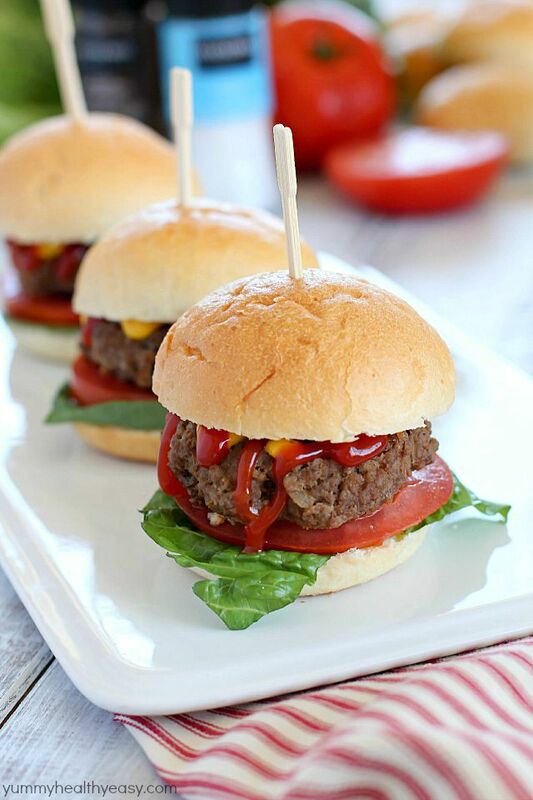 Juicy, flavorful Blue Cheese Beef Sliders for the win! 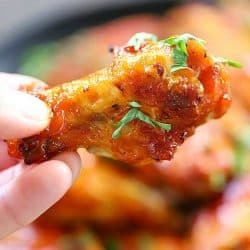 Not only are these delicious, but they’re super easy too! 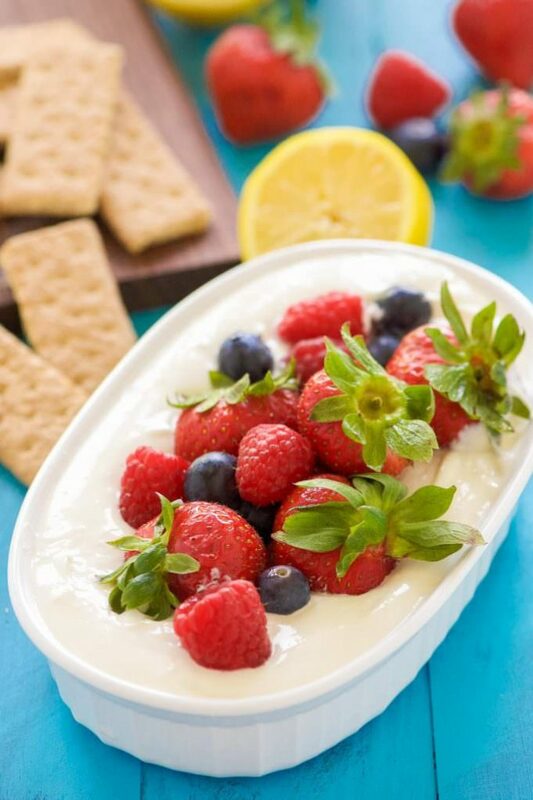 Lemon Berry Cheesecake Dip is the best of both words – dessert and a dip! Luscious, creamy cheesecake dip with a hint of lemon is topped with juicy berries coated in a touch of maple syrup! 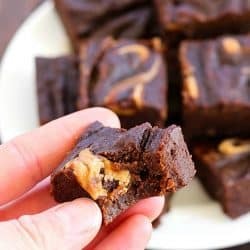 An irresistible combination! 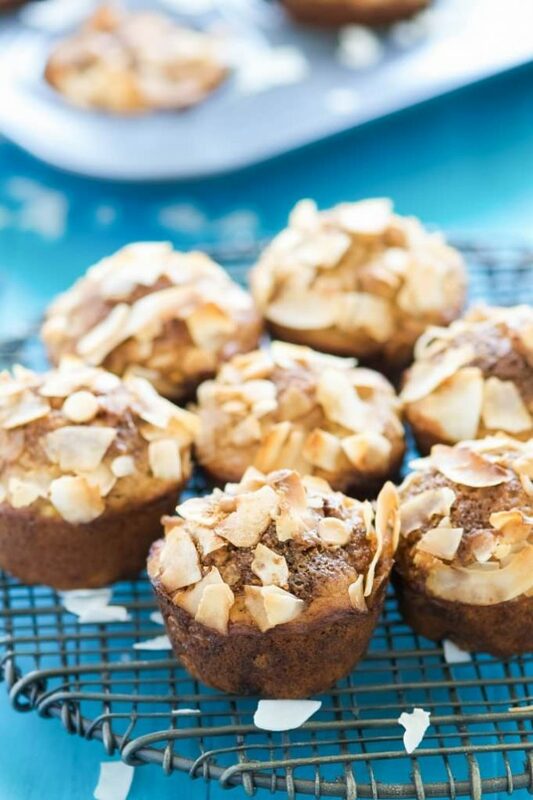 White Chocolate Greek Yogurt Banana Muffins are by far THE best banana muffins I have ever made! 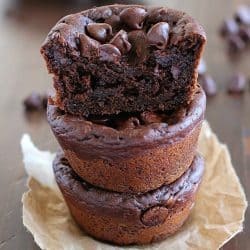 These muffins are packed with protein from greek yogurt, naturally sweetened with ripe bananas and filled with mini white chocolate chips! 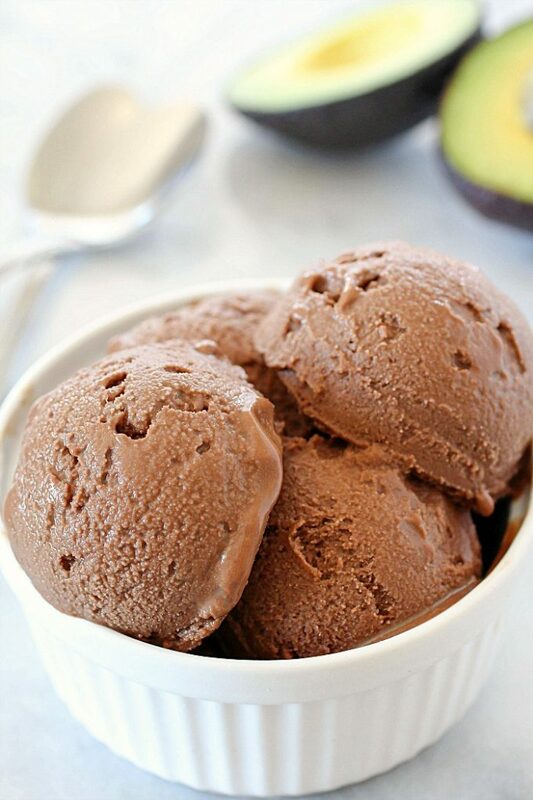 Homemade Chocolate Avocado Ice Cream that is so super easy to make, velvety and incredible! 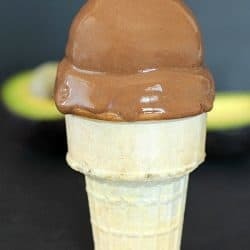 You won’t even taste the avocado but will love the chocolate creaminess! Ribboned Squash & Zucchini Salad is a fresh and healthy vegetarian salad with veggies, toasted pine nuts, creamy goat cheese and balsamic glaze. Pair it with grilled shrimp or chicken for an amazing and flavorful lunch you won’t forget! 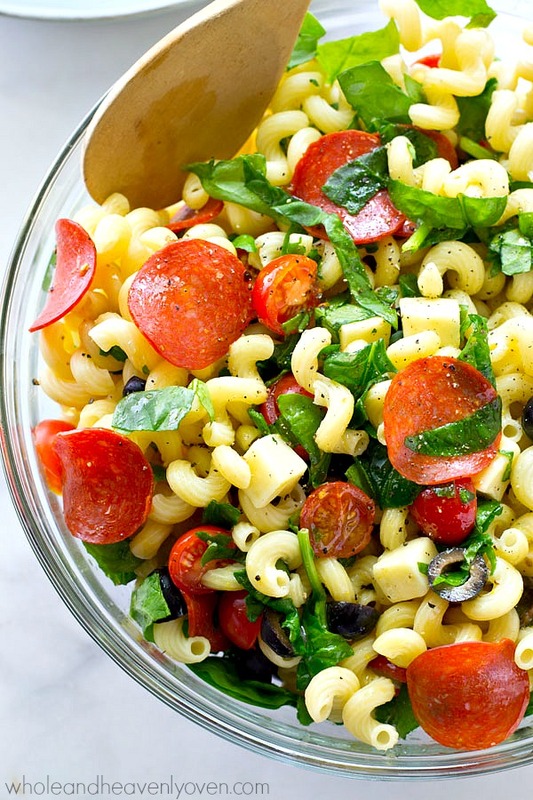 Everything you love about pizza…in the form of a healthy Italian pasta salad! This super-easy salad is so simple to throw together, it will be a cookout requirement all summer!